ROGER MUSELMAN serves as chairman of DRG, the parent company of Annie's and SFG, media and technology solutions companies owned by the Muselman family of Berne, Ind. He began working full time with the family-owned printing company in 1986. In June of 1998, DRG was formed and he was named chairman. 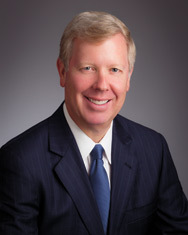 Roger serves on various boards including First Bank of Berne and Smith Brothers of Berne Inc. He is a cofounder and director of The Bridge Community Church and a member of Rotary International. Roger is a member of Chief Executives Organization, World Presidents' Organization, a past chapter chairman of the Young Presidents' Organization Indiana chapter, and serves as chairman of the Taylor University Board of Visitors. He received a bachelor's degree from Taylor University and an MBA from Kellogg School of Management at Northwestern University. Within the community, Roger served as cochairman of the fundraising campaign to build Berne's Muensterberg Plaza and Clock Tower from 2005-2010, and he helped launch a Youth for Christ chapter in the early 1990s and The Bridge Community Church in 2000.